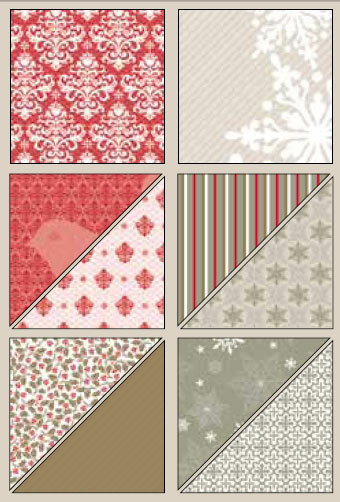 Free Christmas Ribbon from Stampin Up! As promised here are the details of the Free Ribbon Offer from SU! 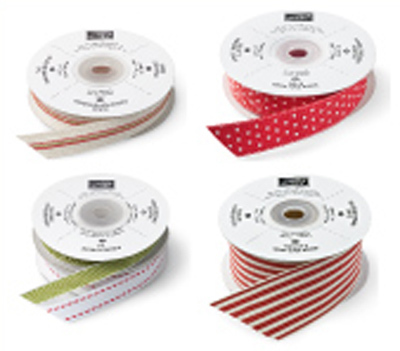 You can earn free Christmas ribbon simply by purchasing one of the Dress Up Christmas Bundles OR host a workshop during the time period of the offer, to the value of $550 and you as hostess receive a free spool of ribbon along with all of your other hostess benefits! The top two sheets are one sided and flocked! Yummy! So if you are still in the planning stages of your Christmas Card Design and plan on making a few boxes and bags for friends and family this Christmas – this is definitley the special for you! If you are interested just let me know and I can pop on order through for you.